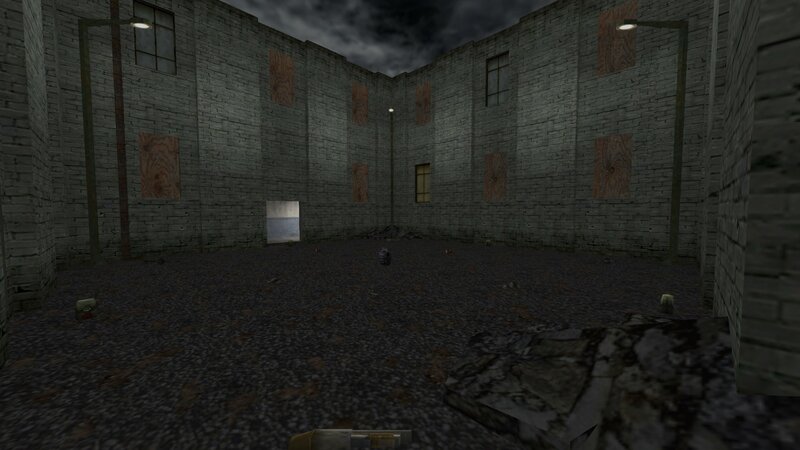 Condemned Arena was a map I originally made for the fabulous GunRace mod. 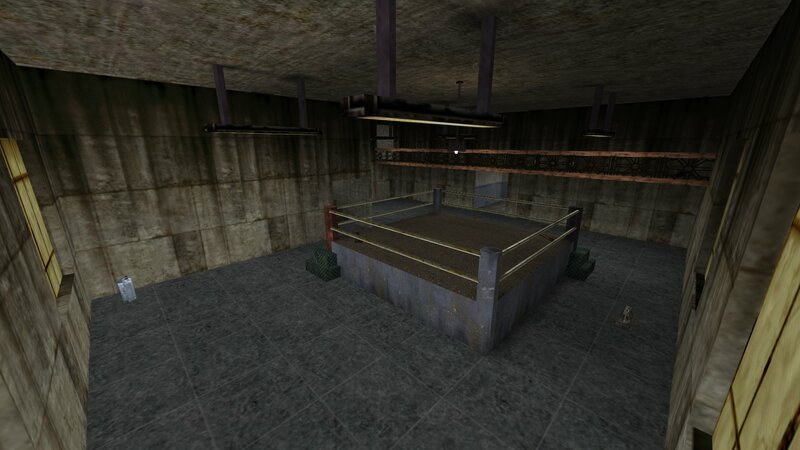 Now the map is on all the deathmatch servers as well. 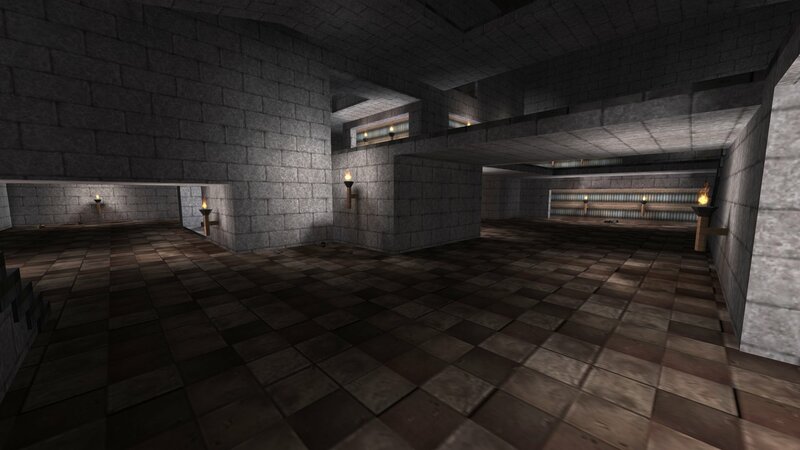 I just found out there was a bad player spawn in the map so I have fixed it and released an updated version of the map as Condemned Arena 2019. 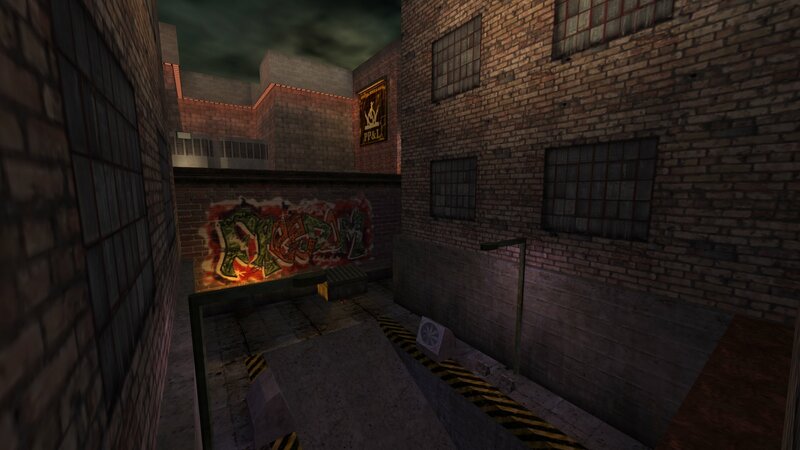 Condemned Arena 2019 is a smallish deathmatch map that is a remake of the map from Unreal Tournament 1999. 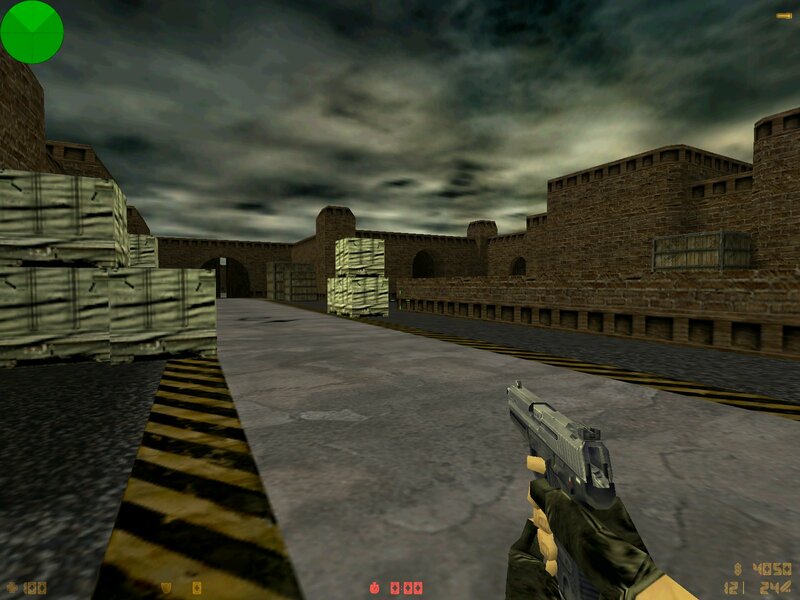 You can download Condemned Arena 2019 from here. 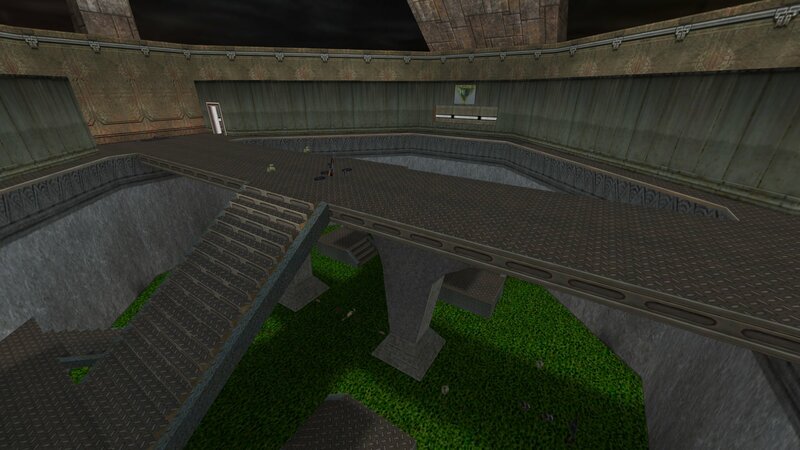 The map is a deathmatch map called UT2K4Spirit and is a remake of the UT2K4 map DM-1on1-Spirit. 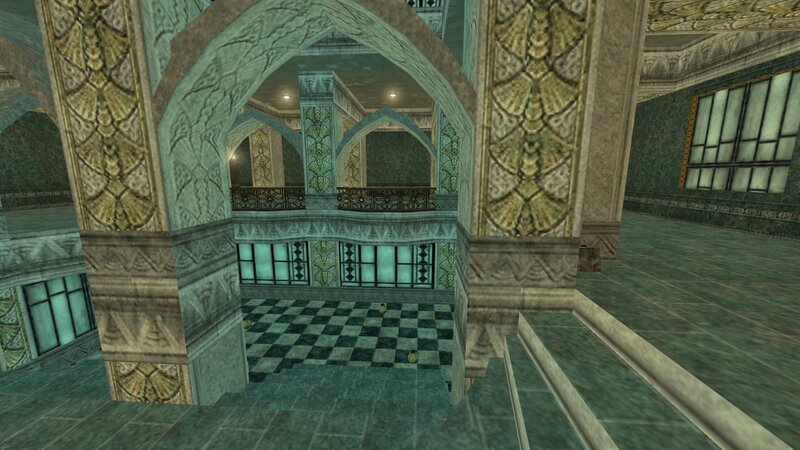 It is a largish, three tiered map set indoors. 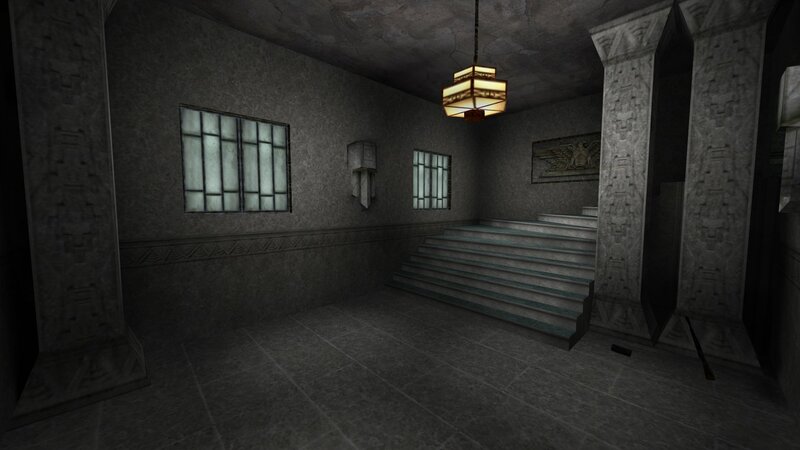 It has a darkish atmosphere, uses all Kingpin standard textures and has all weapons featured. This map has now be updated. 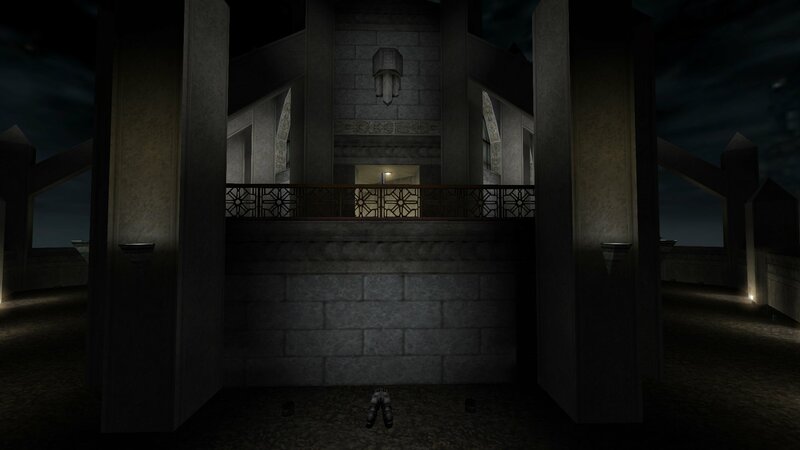 You can download UT2K4Spirit Final from here. 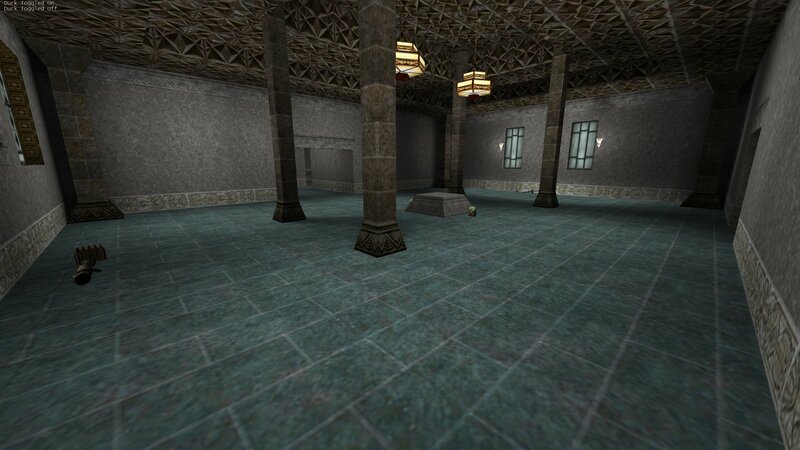 Here is a small Bagman map made from a small part of the KPDM5 map. 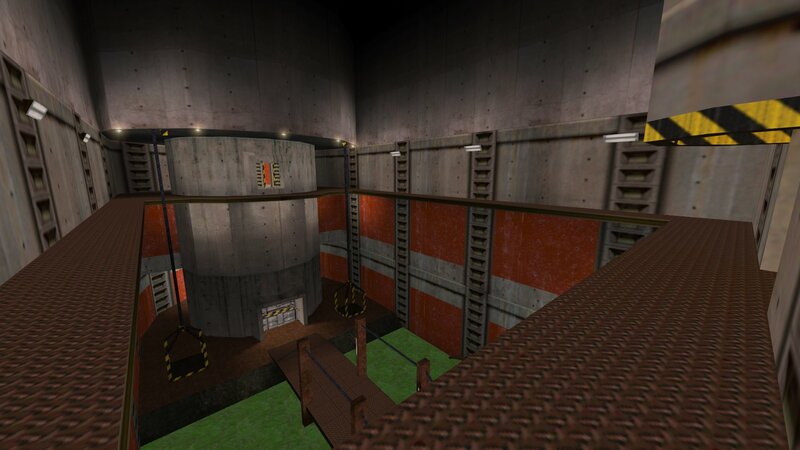 The map is mirrored and contains the two team's bases and the famous staircase area from KPDM5. You can download Kpdm5BM2v2 from here. 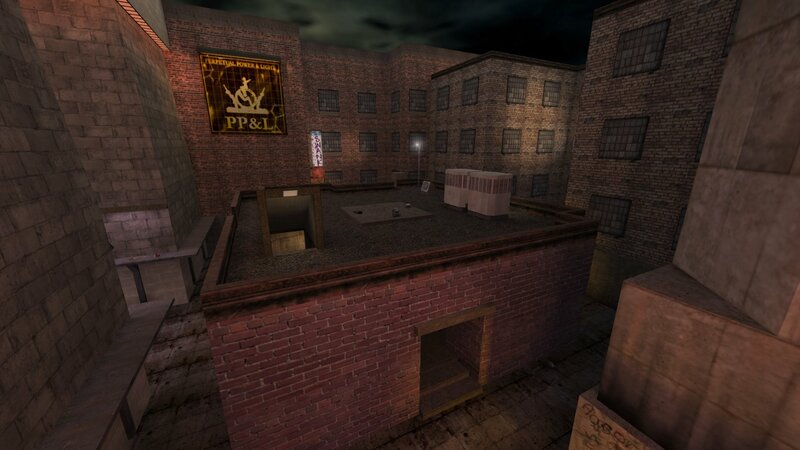 Team Octagon2005 Beta2 Bagman Map. 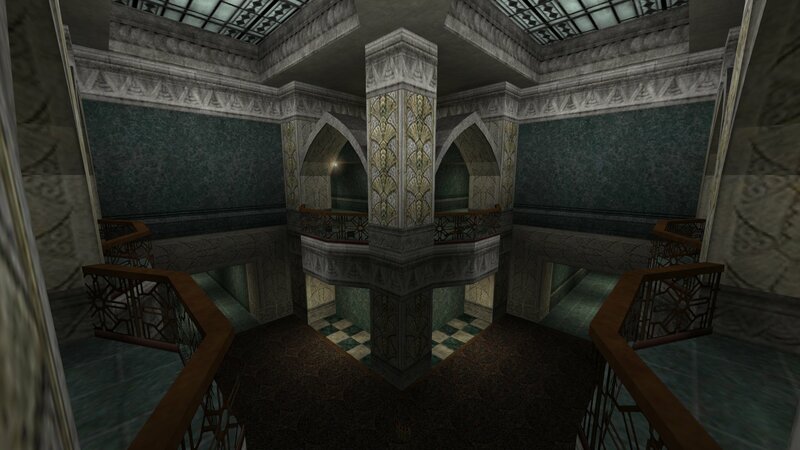 Here is yet another Octagon themed Bagman map that Fredz had in his Kingpin install. 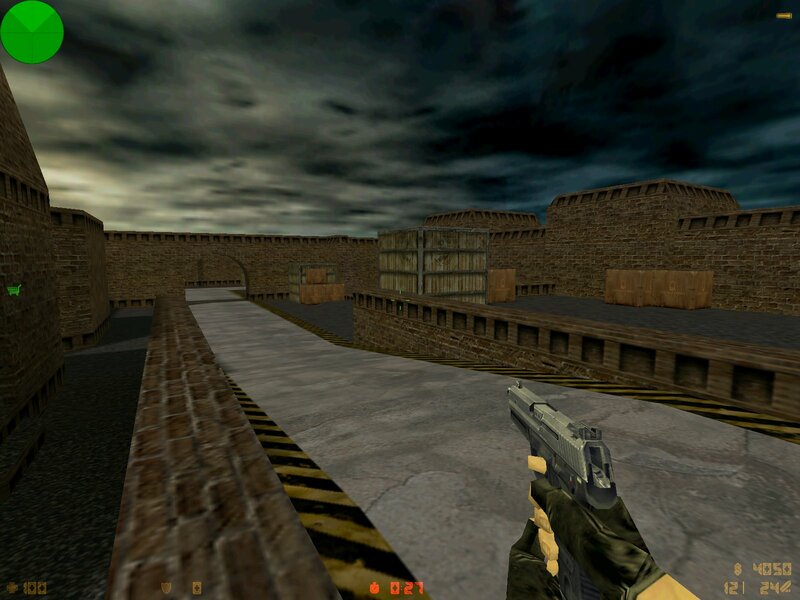 This one is Octagon2005 Beta2 by an unknown author. 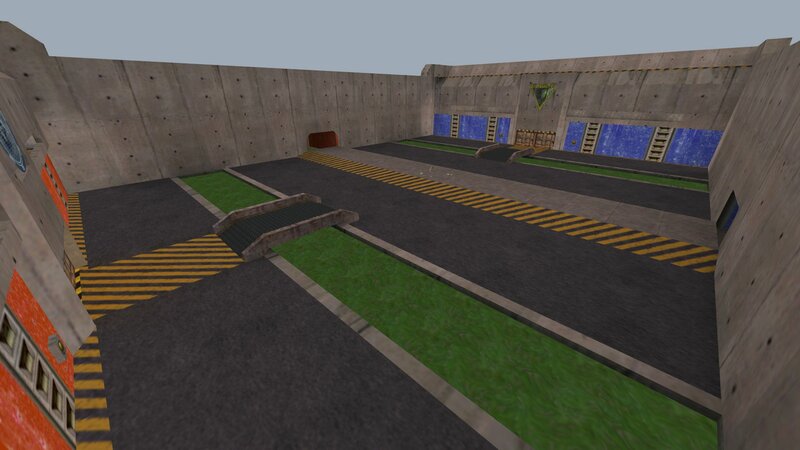 It's a smaller, simple, version of the map and looks like it would be fun to play. 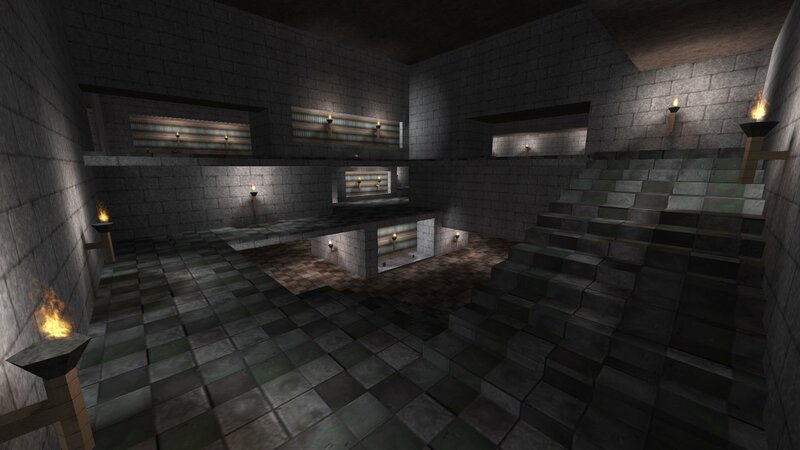 You can download Team Octagon2005 Beta2 from here. 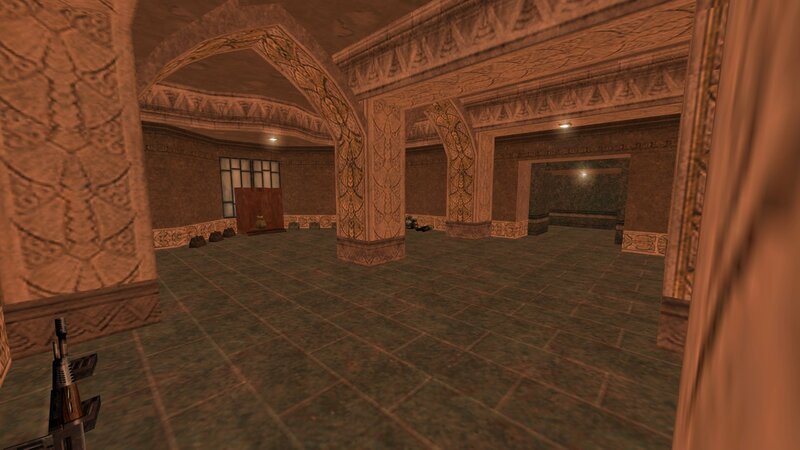 There is a Kingpin textured version of the famous counter-strike 1.6 Dust (de_dust.bsp) map. The zipfile contains a texture wad and renamed sky env files. It was created by Cashmoney. You still need to have the original Dust map. You can download Dust Kingpin from here. Just follow install instructions in the enclosed readme. Please note it will overwrite your existing cs_dust.wad and the desxx env files so make sure to back those up before installing. 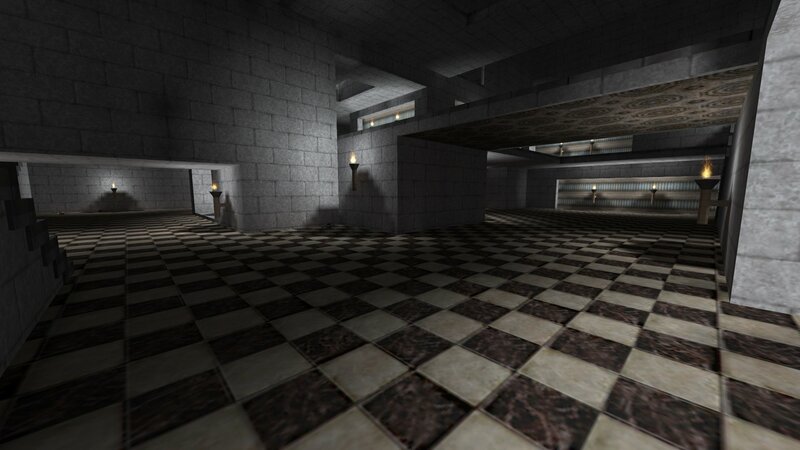 Here is another version of the KPDM5 map. This is a larger version made by Jabba1966. All he did was add some more areas. You can download KPDM5v2 from here. There was a corrupt version of the KiT+ (kit_plus.bsp) on the ---Battys kit--- server that was causing the server to crash. The map has been replaced with the good version from kingpin.info. If you have downloaded the corrupt version from the server when you try to join you will get an error message that local version of the map differs from the server version. So I suggest you download the good version from here. Just exctract/unzip the file to your kingpin folder, overwrite existing file when asked, and it will be placed in the correct location. Here is a Bagman map we didn't have in our archives. 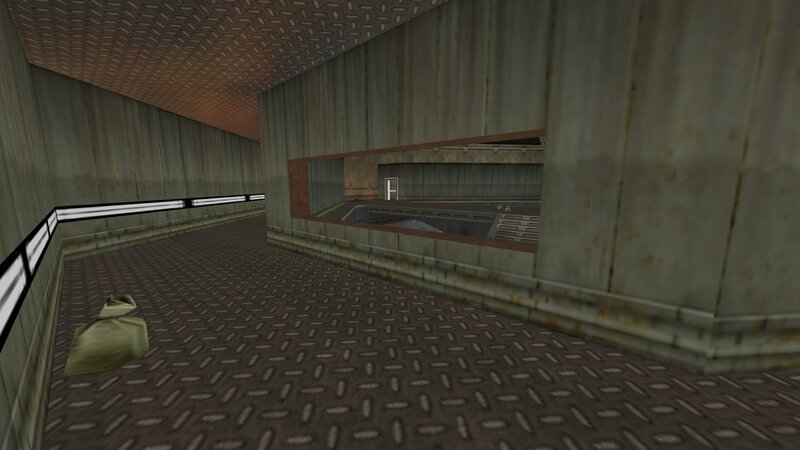 Team HLWell by Hogie is a large Bagman map converted from Half-Life and uses all custom HL textures. The bases are large and multi levelled. The safe money bags are at the back in large silos. 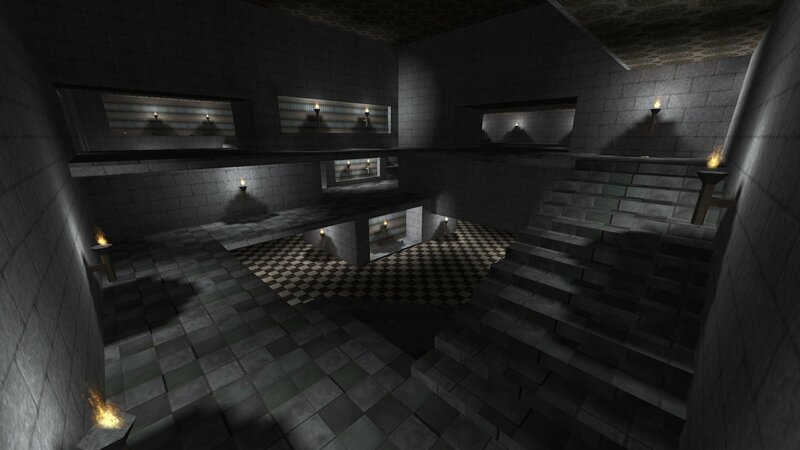 There are several paths to the team bases throuugh the middle or via underwater tunnels. There are the usual weapon caches in the bases. If I remember rightly it has an end of map cutscene but that only works in the Curse mod. You can download Team HLWell from here.